This is part I of a two-part look at the players Arizona State loses from the 2013 team and how it may replace them. Part II will run Tuesday and examine the defense. 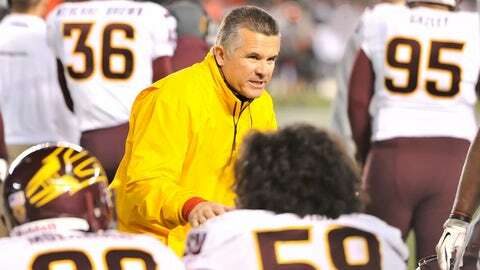 Arizona State coach Todd Graham has been lauded for turning the Sun Devils around in a hurry, but the second-year coach has always been quick to share credit. Administration, assistant coaches and donors have all been recognized as part of the building process. More than all those groups though, Graham has credited his players, particularly the 2013 senior class. In that regard, Graham is about to lose his greatest asset. The graduating senior class of 26 includes 12 starters and 10 players who received All-Pac-12 honors this season. Needless to say, it was an important group. To match or exceed its 2013 success and keep trending upward, ASU will have to reload with its returning talent and incoming recruits. That challenge may be greater on defense, as ASU’s offense returns most of its key players and loses just four starters to the defense’s eight. Still, there’s work to be done on offense. Here’s a look at who is lost on the offensive side and how the Sun Devils might replace them. Grice was ASU’s best offensive playmaker this season, and if not for a late-season leg injury, Grice almost certainly would have turned in a 1,000-yard rushing season and probably broken the school’s single-season touchdowns record. His versatility as a running back and receiver will be the hardest thing to replace, and his uncanny ability to get to the end zone might not be replaceable. Replacement options: It seems likely sophomore D.J. Foster will take over as the featured back. Foster doesn’t have Grice’s size and strength but does have better speed and seems to produce more long-yardage plays. Foster also has even more experience as a receiver, so ASU could use him in the same dual-threat role Grice filled this year. 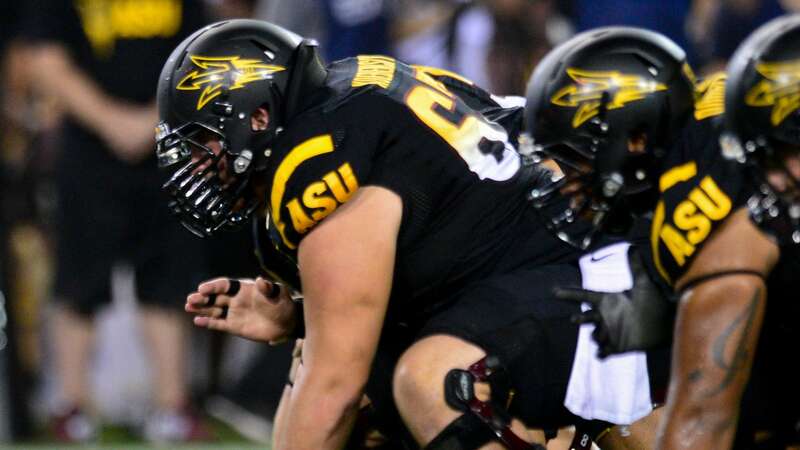 Foster filled in capably in ASU’s final three games, so expect that to continue in 2014. The Sun Devils also return redshirt junior Deantre Lewis and are set to add three running back recruits. 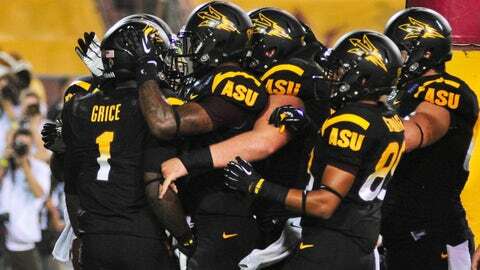 Four-star Demario Richard (Palmdale Calif.), three-star Kalen Ballage (Falcon, Colo.), and three-star DeChavon Hayes (Lackawana College, Scranton, Pa.) are verbally committed to ASU. Coyle’s production dipped from 2012 this season as receiver Jaelen Strong took over as quarterback Taylor Kelly’s primary target. 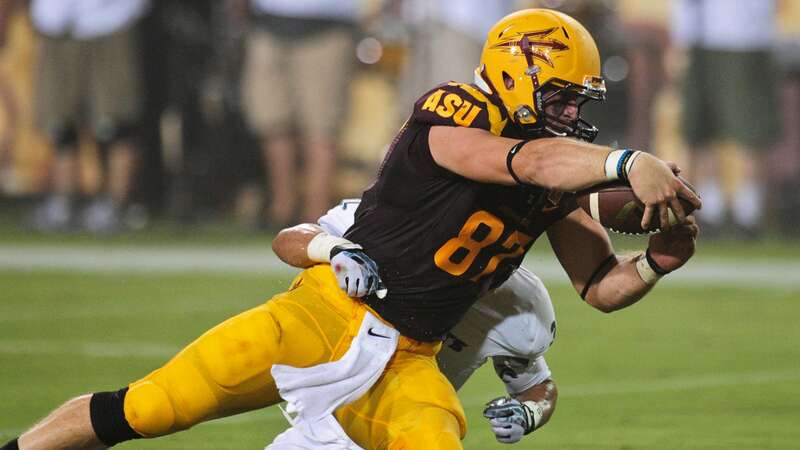 Still, Coyle was one of the conference’s top tight ends, earning first-team All-Pac-12 honors, and a reliable go-to receiver. Perhaps most overlooked was his value as a blocker, which helped create opportunities for other players. Coyle’s hands may have been his best asset, but his sneaky athleticism and toughness may be the greatest loss with his graduation. Replacement options: Redshirt junior De’Marieya Nelson should become ASU’s top tight end/H-back. Nelson, who played a key role while Grice was injured, brings more versatility to the position with his ability to make plays as a running back. He’s more of a true fit for Todd Graham’s "three-back" role. Nelson had issues with his hands a few times this season but looked good late in the year. With a lack of returning depth and just one tight end recruit committed, it remains unclear how much ASU will be able to work out of the two-tight-end formations Coyle and Nelson allowed this past season. Koebensky provided a steady presence up front the past two seasons and played an unheralded role in Kelly’s success as the starting quarterback. Koebensky was also a leader on the line, and replacing a center is always a tall task given the position’s importance to the offensive line. Replacement options: ASU is getting creative with its options here and started experimenting during early bowl practices. 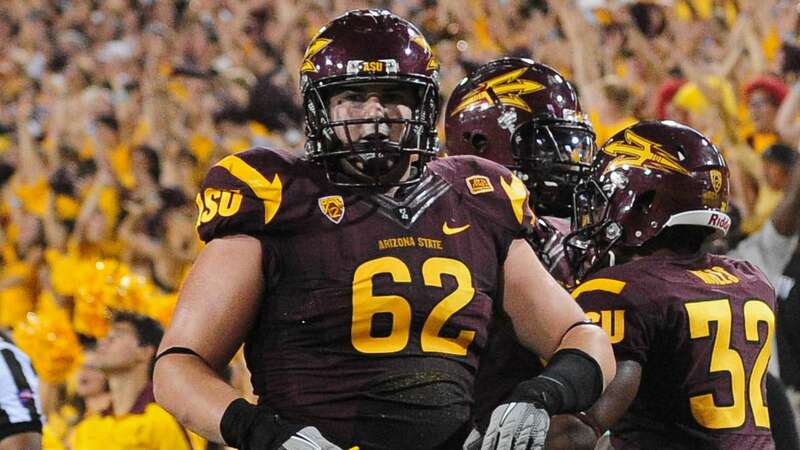 Sophomore Nick Kelly is the only true center returning in 2014 and probably has a leg up on the competition, but offensive line coach Chris Thomsen said the Sun Devils will take a look at redshirt sophomore Devin Goodman there as well. Starting right guard Vi Teofilo could also be considered. Finkenberg, a first-team All-Pac-12 lineman this year, has been a stalwart on the offensive line since his arrival. He finished his ASU career on a streak of 47 straight starts. That kind of consistency is hard to replace, and so will be the leadership Finkeberg brought to the line and offense as a whole. There’s certainly a case to be made that the blind-side tackle spot is among the keys to the offense, so ASU has a pretty big void to fill here. Replacement options: The offensive line likely will be pretty fluid through spring practice. Here, starting left guard Jamil Douglas could move back outside, as transfer Christian Westerman is likely to slot in at one of the guard spots next season. Douglas is regarded as one of the top athletes on the offensive line and would seemingly work well at tackle. Evan Goodman redshirted this season but was Finkenberg’s backup on the depth chart, and if he develops as ASU hopes, he may be the top choice here. Ozier saw a decline in his involvement this season — as with Coyle, this was mostly due to Strong’s presence — but remained a reliable option. Ozier was rarely targeted for big plays but was often a primary target in clutch situations such as key third downs or fourth downs. In those spots, Ozier was a highly effective possession receiver. His leadership was also key within the wide receiving corps as it developed and improved significantly this season. Replacement options: The first look here may go to freshman Ellis Jefferson, who impressed greatly in fall camp but ended up redshirting. Jefferson has a similar body type to Ozier but is a little taller and may come with more big-play ability. He has the physicality to make the kind of possession play ASU needs out of the "Y" receiver spot. Other possibilities here include redshirt freshman Frederick Gammage and perhaps verbally committed recruit Tyler Whiley, a four-star prospect out of Scottsdale Chaparral. Alonzo Agwuenu, WR: Given his size, Agwuenu was expected to bolster ASU’s receiving corps before the 2012 season, but he didn’t develop as hoped and didn’t display the best hands. He only had one catch in 2013.
RJ Robinson, RB: Robinson was purely a depth piece given ASU’s wealth at running back but saw some action late in the season. Darwin Rogers, TE: Rogers didn’t see the field much this season but will be remembered for his 38-yard touchdown in ASU’s win over Arizona.